If you are interested to find out more about sound healing here are some links to articles and a BBC broadcast on the ability of music and sound to improve people's wellbeing. 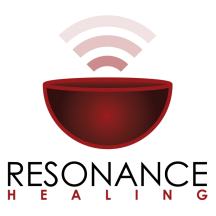 The College of Sound Healing was established to provide the highest quality training for those people who wish to become sound healers. The College provides a comprehensive training in sound healing and sound therapy with highly experienced tutors. The College of Sound Healing is a non-profitmaking organisation. Gong Master Don Conreaux and Mojca Morya playing gongs at the World Peace Summit. Jane Hanson investigates the ability of music to improve the wellbeing of people and discovers the exact science behind the physical and psychological effect of sounds and music. Did you know that music can have a decisive influence on what you buy in a shop or how much you spend in a restaurant? Hanson also discovers that there is a large new market for pan-pipe players and why police are playing classical music in the metro system in the North-East of England. Can playing calming music increase milk yield in cows? And what effect do Indian ragas have on plant growth? These are just some of the many unexpected uses of music which Jane Hanson explores in the four-part series The Power of Music. John Beaulieu, ND, PhD looks at the landmark research which is shedding new light on the effects of music and sound in relationship to healing and energy. In 2002, Dr. George Stefano and John Beaulieu made an exciting discovery: Specific vibrations transferred to cells using tuning forks causes the spiking of nitric oxide. This release of nitric oxide sets off a cascade physiological events that directly influences our health, well-being, state of mind, and consciousness.